In order to download music for free, just click on link below, while song is playing, right click or control+click, select “save audio as” and save to your computer. Enjoy and share our music! Recorded live on October 27th, 2016 at the “legendary” Bitter End , in New York City. On a cold rainy night in Greenwich Village, the band was smokin’ hot ! 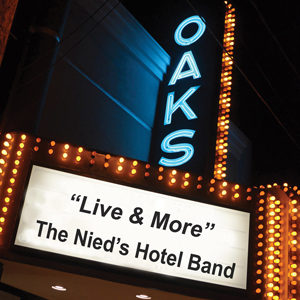 With an enthusiastic audience on hand, The Nied’s Hotel Band delivered their typical high energy entertaining set. 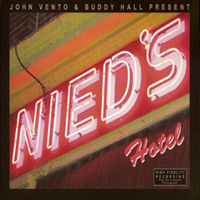 The CD was recorded on location by Bitter End engineer Adrian Phorsteinsen and later mixed back in Pittsburgh by producer Buddy Hall. 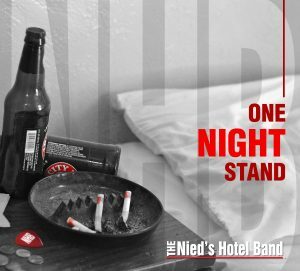 Several years in the making, “One Night Stand” is The Nied’s Hotel Band at it’s finest…combining re-vitalized tracks from 2012’s “Side One” EP (now out of print), with brand new tunes written by the band. 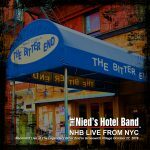 Recorded and mixed by LA studio veteran, Klint Macro, the music reflects their powerhouse live shows and joyfully blends rock, blues, funk & soul influences into something uniquely NHB. A youthful reminiscence of days gone by, the songs on this disc celebrate growing up in Pittsburgh (although it could be anywhere), with the central themes revolving around high school days, long summer nights, fast cars and (hopefully) even faster women. 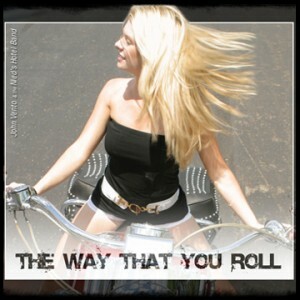 Many songs sport a 50’s-60’s rock n’ roll feel, with “Catholic Girls”, “Take Me Back” and the title track, “The Way that You Roll,” all becoming fan favorites at NHB live shows. The band’s self-titled debut is filled with texture and character. This lengthy (18 tracks) disc kicks right off with a great cover of Jude Cole’s classic, “House Full Of Reasons.” The album consists of a wide variety of musical styles. Classic NHB live favorites, such as “Day The Lady Cried,” “Grow Up Fast,” “600 Under,” and “Lonely Man,” came from this album. Producer Buddy Hall also brought in some very high-powered guest performers, including guitarist Reb Beach, vocalists Pete Hewlett & Kelsey Friday, and sax great Kenny Blake.